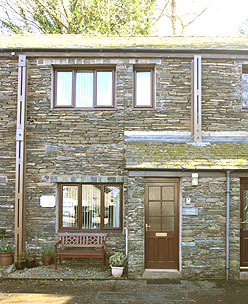 Less that 5 minutes from Ambleside town centre in a quiet corner, Heather Cottage is located in a private courtyard, convenient for all amenities, with parking for one car. The house is available all year. Accommodation downstairs consists of enclosed entrance porch with space for coats and boots, and a living room, well designed to include space to dine, relax and cook. Upstairs there is a double bedded room, one room with twin bunks and a well appointed bathroom. Facilities include free Wi-fi, radio, DVD player, shower over bath, electric cooker, microwave, dishwasher, fridge, freezer and washing machine. 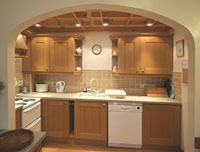 or phone Lakes Cottage Holidays: 017687 74060. Terms are from £441 upwards per week all inclusive, changeover day is Saturday.